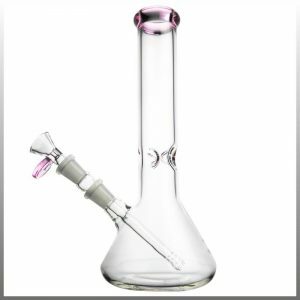 Product: Clear Skies Ahead – Translucent Mini Bong Clear Skies Ahead is a crystal clear mini bong that measures approximately 6 inches. It features 14 mm glass bowl and a very pretty price. Clear Skies Ahead is a crystal clear mini bong that measures approximately 6 inches. It features 14 mm glass bowl and a pretty price. This glass piece ships directly from the artists. Orders usually arrive sooner, but in some cases, shipping may take up to 30 days. 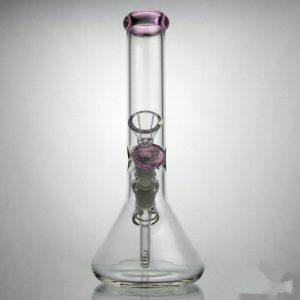 Simplicity is a classic beaker bong made of high-quality class. This is the pink version.